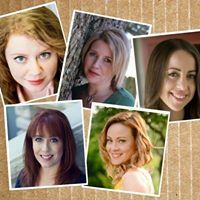 Finally I get to share the news about the Central Florida tour that I will be going on with four other smart and savvy YA authors called YA Chicks Kickin’ It. I will be touring with Amy Christine Parker (Random House), Jessica Khoury (Razorbill/Penguin), Anna Banks (Feiwel & Friends/Macmillan), and Jessica Brody (Farrar, Straus and Giroux/Macmillan). We will be visiting libraries, schools and bookstores where we’ll be teaching the craft of writing as well as sharing our love of books. For all the details and stops, you can go to our website here and our Facebook page here. If you live in Central Florida, there are a couple of events that are open to the general public. For our readers, you can attend Inkwood Books in Tampa. And for our Orlando friends, we are in the final stages of securing our Orlando bookstore location right now. If you are a writer, we are hosting a free writer’s workshop at the Downtown Public Library in conjunction with SCBWI Florida. At that stop we will be joined with: Lucienne Diver (agent with The Knight Agency/ author with Flux), Vivi Barnes (Entangled), Jessica Souders (Tor/Macmillian). This is open to the general public as well as members of the library. If you don’t have an Orange County library card, just contact us on our Facebook page with your details and we will make sure you are added to the list of attendees. It’s going to be amazing. If you don’t live in Florida or you can’t get out to the tour, don’t worry! We have two fabulous bloggers, Larissa Hardesty and Jenna (does) Books, who will be blogging about the entire event on our blog and linking those to our Facebook page. To celebrate the launch of our tour, we are giving away an autographed poster of our tour as well as a Florida themed goodie bag (Think beaches and Disney). To enter, fill out the Rafflecopter below. Sounds awesome. Great idea to go on tour with other authors. I just entered the H out of this contest! SO exciting. I wish that NV had all the amazing authors that FL has! Lucky ducky.